Revitalising and stimulating. Certified natural body care. 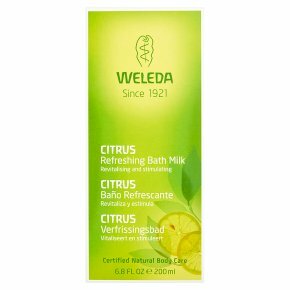 Dermatologically tested.Weleda's Citrus Refreshing Bath Milk with its fresh fruity fragrance of Citrus essential oils re-vitalises and enlivens the senses and evokes memories of a Mediterranean summer's day. An ideal start to the day or a refreshing pick-me-up at any time.